Contact CMS for more information. A repaired or rebuilt air heater, using CMS patent-pending designs and corrosion resistant tubing, can extend the life of your APH and other critical equipment. CMS offers the industry’s widest variety of solutions for APH repair and replacement. We develop a solution that matches your own unique requirements. 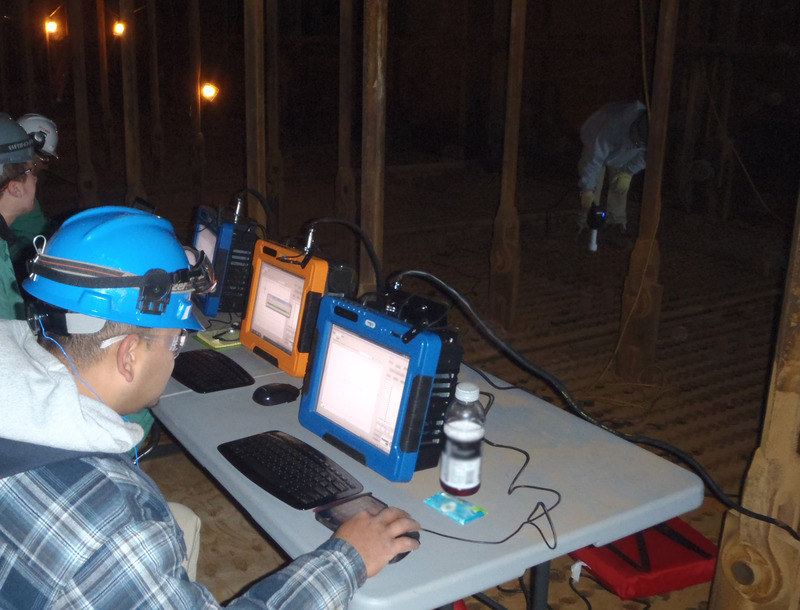 On request, our experienced team can quickly help you evaluate your needs based on site inspection and data analysis, using our proprietary Air Leakage Calculator. We can then tailor products and services to improve your operation, including partial tube repair, in-situ repair, Convective Tube Solution™, CMS Eros™ as well as other options. Our goal is to get you back up and running to maximum efficiency as quickly as possible, so that you are able to realize measurable improvements immediately. We also work hand-in-glove with your management team to develop strategies that reduce associated costs required to complete necessary repairs. A CMS partial tube repair in progress. In many cases, damage to air heater tubes is localized and limited to one section of the tube. This is especially true when erosion is the primary damage mechanism and failures are located close to the tubesheet plate. 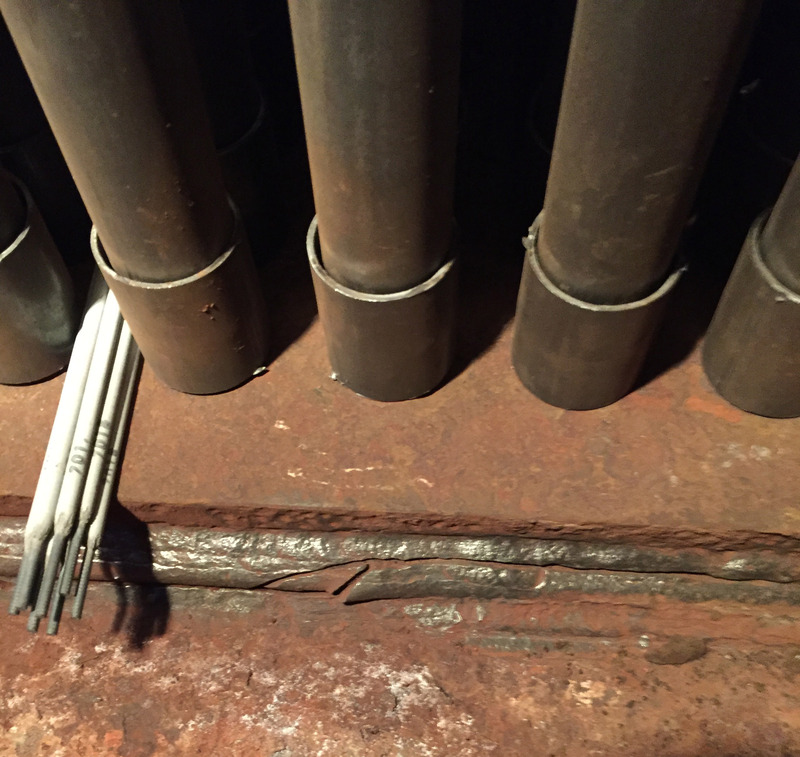 When local damage is identified, CMS frequently recommends partial tube repairs of the air heater. In a partial tube repair, CMS removes only the damaged section of the tube and installs structurally secure, air-tight replacement tubes, using its specialty tooling and custom pre-fabricated couplers. This method preserves the undamaged section of the tube and is often as effective as a full-length re-tube, but a fraction of the cost. Since 1985, CMS has performed thousands of partial tube repairs and is the industry’s leading provider of this solution. Addresses root cause of damage. Scope can be performed in short outages. Enables air heater repair without removing surrounding structures. Minimal scaffolding, reducing maintenance costs. Warrantied seal between parent and replacement tubing . Material or design upgrades available . 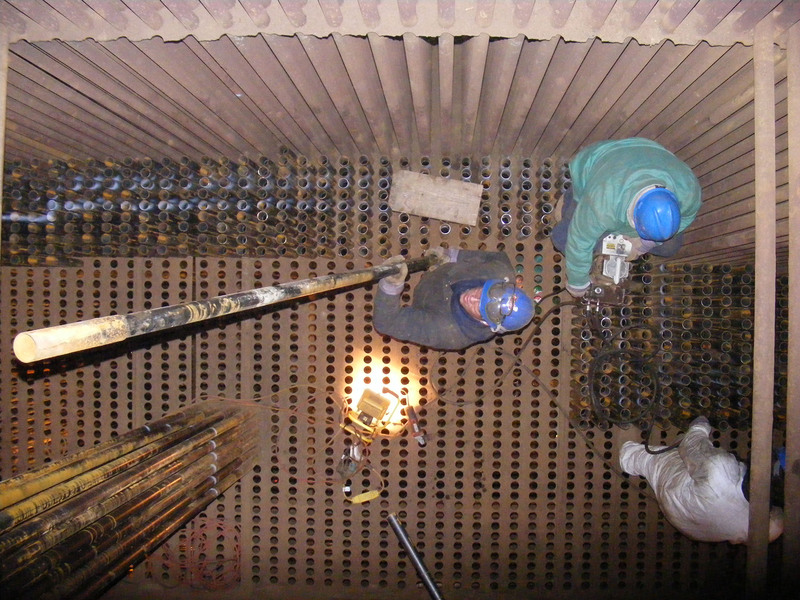 Access to an air heater is frequently limited by overhead obstructions or the location of adjacent equipment, such as economizers or dust collectors. In many cases, these obstructions make it difficult, if not impossible, to install full length replacement materials, without taking an extended outage. 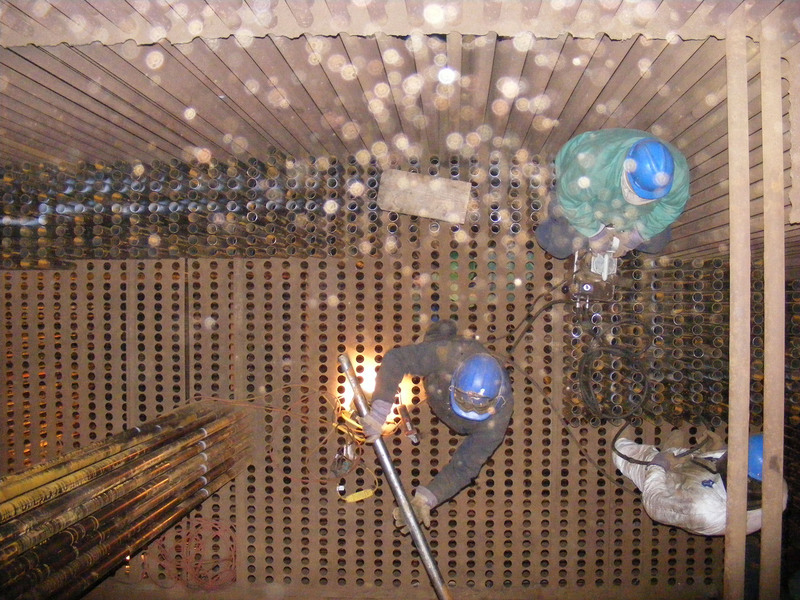 CMS developed the in situ method of repair, allowing tubular air heaters to be rebuilt from the inside out, without removing any of the surrounding structure. Throughout its projects, CMS uses its Rapid Repair™ Conveyer Systems, custom-designed for the sole purpose of rebuilding tubular air heaters. These proprietary tools allow for major repair projects to be performed in a faction of the time that would otherwise be required. The goal is minimal disruption of your ongoing operations, enabling a rapid return to full capacity, but with much improved efficiency. In addition to saving you time, the in-situ process significantly reduces associated costs and schedule for the repair by minimizing the need for scaffolding and crane procurement. We plan and execute our work within your footprint! CMS’s turnkey repair process begins months in advance, when we fabricate materials in our own shop. We don’t rely on third-party sources, which maximizes our quality control, minimizes costs, and reduces lead times. All are time-proven benefits that we pass on to our customers. Our experienced project managers and engineers work with you to determine the best possible solution that allows for seamless installation during an outage. We stand by our products and services, backing them with expert support, and in some cases, a five-year warranty. Rapid repair scheduling and mobilization. Performed safely and efficiently within you footprint. Minimizes the need for expensive scaffolding and cranes. Custom solution, rather than a “one-size-fits-all” problematic approach. Warrantied repairs (in some cases). 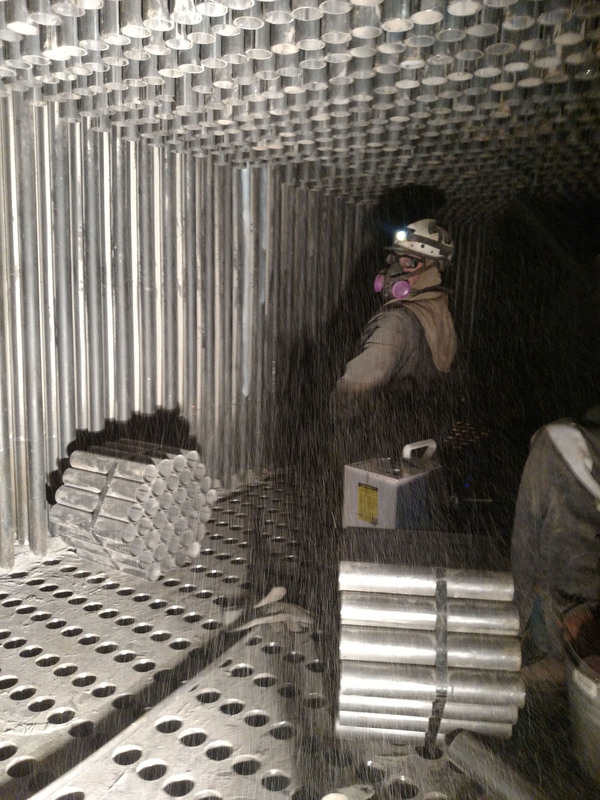 The CMS Convective Tube Solution™ is the tubular air heater industry’s first and only long term solution to aggressive dew point corrosion damage. Cold-end corrosion, localized cold spots, and heat sinks in an air heater can have devastating effects on operating and, ultimately, your financial performance. Damage develops when the surface temperature of tubing drops below the acid dew point. Acid condensation often leads to losses in wall thickness. 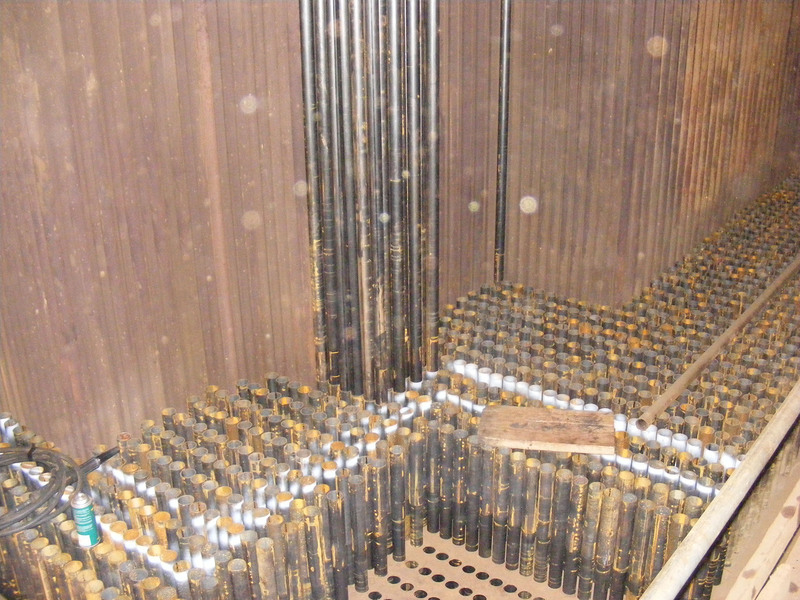 Failure rates vary, depending on the fuel source and boiler configuration, but ongoing corrosion, plugging, and other issues that affect APH performance can have damaging impacts on an operation. Reduces surface area available for heat transfer. Increases fan and emissions equipment energy requirements. Damages/wears ancillary equipment and infrastructure. 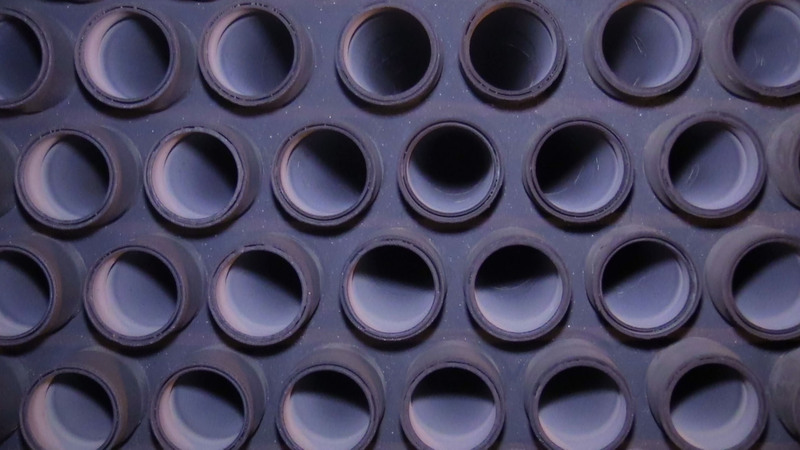 CMS’s patent pending Convective Tube Solution™ is a product of precision engineering and more than 30 years of experience inspecting and repairing tubular air heaters. During the repair, CMS actually upgrades the metallurgy of your tubing. 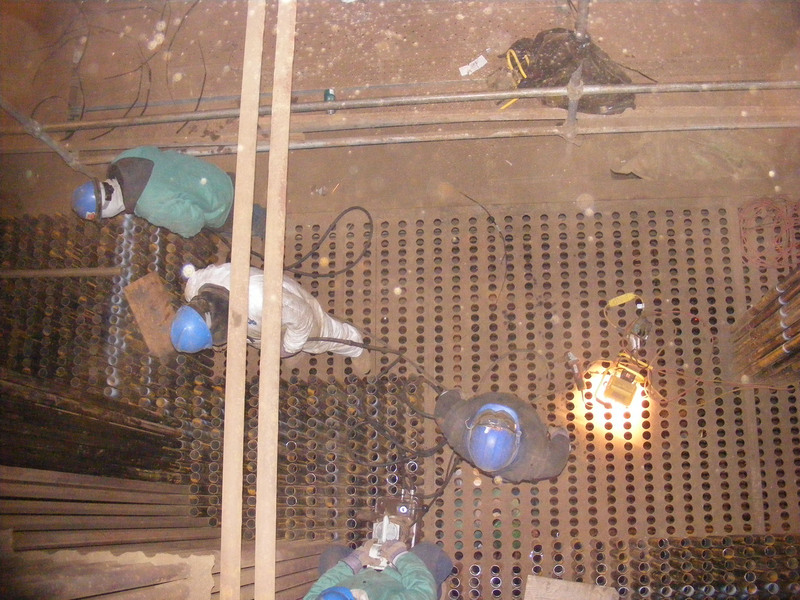 Modifications to the design of the tube and tubesheet plate are performed during field installation. 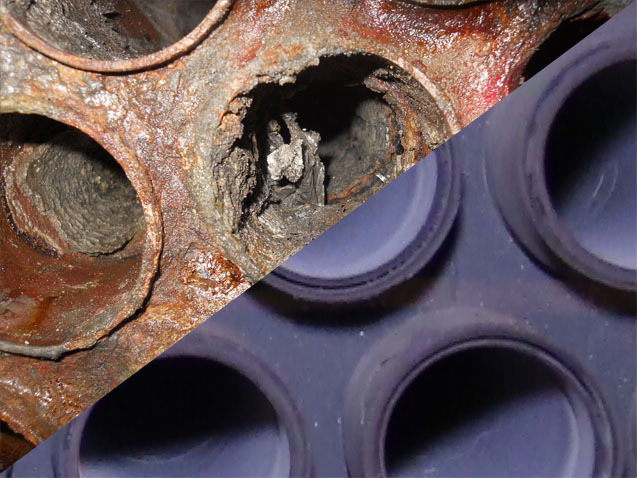 Repairs result in the effective elimination of dew point corrosion failures and fly ash plugging. Increases dew point corrosion resistance and life expectancy 3X the minimum average. Significantly diminishes cold-end ash fouling and reduces or eliminates washing. Improves air heater and system performance. Helps reduce wear on ancillary equipment. Reduces excess energy consumed plant-wide. Includes a 5-year warranty against dew point corrosion and fly ash fouling. This added benefit includes annual inspections and condition assessments performed at no charge. By eliminating cold-end corrosion, the CMS Convective Tube Solution™ significantly reduces net fuel consumption and parasitic losses. At no cost to customers, CMS can use its proprietary Air Leakage Calculator to provide a thorough analysis showing the financial impact of an APH’s current condition and an estimated return on investment timeline for repairs. Customers have achieved payback in as little six months and are realizing significant ongoing savings. Examples of the calculator and analysis can be provided on request. 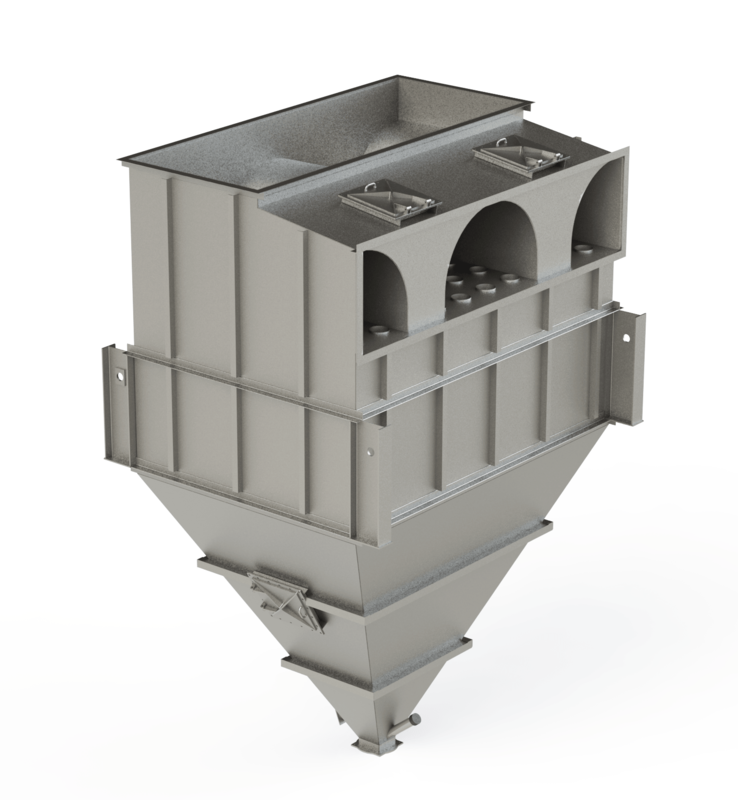 The EROS™ is a CMS Inc. patent-pending design that provides long term relief from problems associated with fly ash erosion. Fly ash erosion often occurs within the first 3-5 inches at the gas inlet of the tube up to the top tubesheet plate. In an EROS™ repair, CMS removes only the damaged area of the equipment and upgrades the design and metallurgy of the replacement material to prevent reoccurrence of damage. The EROS™ design also ensures that wear damage occurs to the sacrificial areas only (overlay plate and sleeves). Upgraded metallurgy at the area most vulnerable to erosion damage. No increase in air heater pressure drop. EROS® specially hardened inserts can be joined to undamaged sections of tubing. Significantly reduces long-term maintenance costs. Provides you with our Air Tight™ APH Preventive Maintenance Program. Includes an optional 5-year warranty against erosion failures. 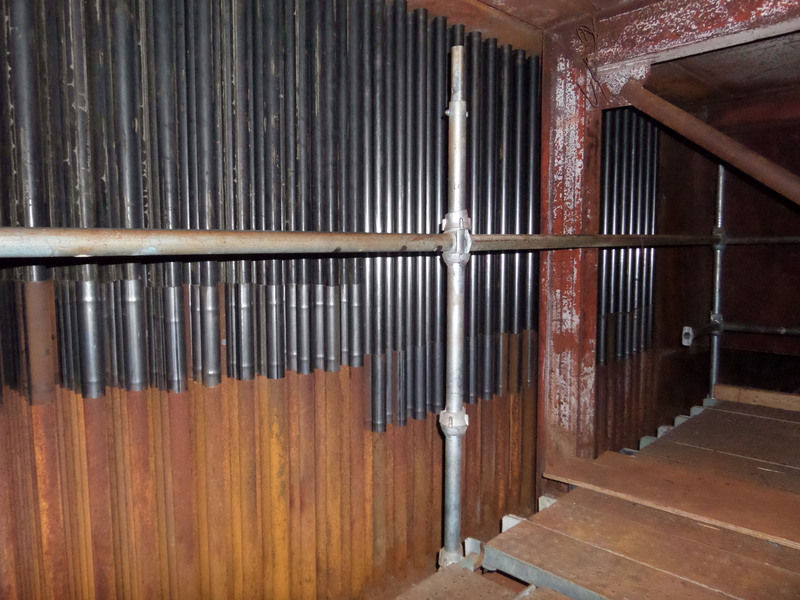 CMS’s patent-pending corrosion guards provide insurance against potential water damage. Pre-fabricated in advance of repair, leading to ease of installation. 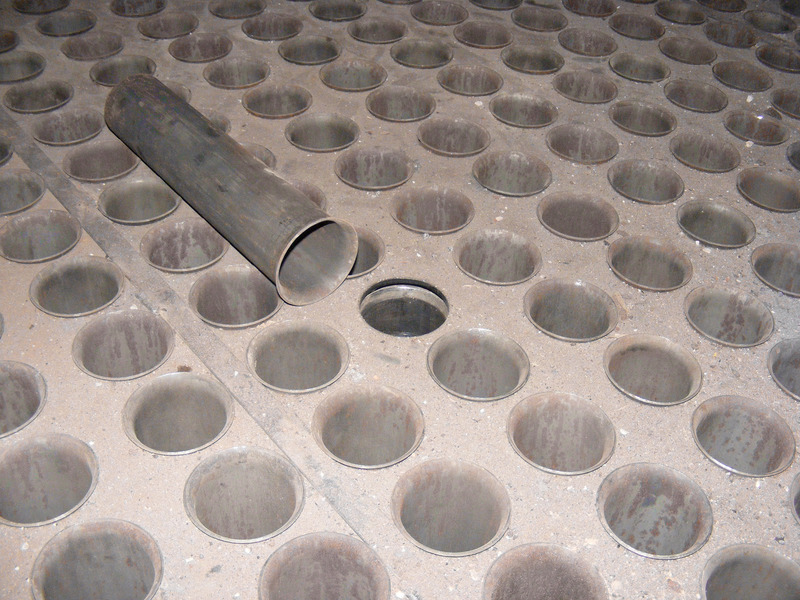 Provides sacrificial steel to protect tube outer diameter at BTS and anti-vibration baffles. 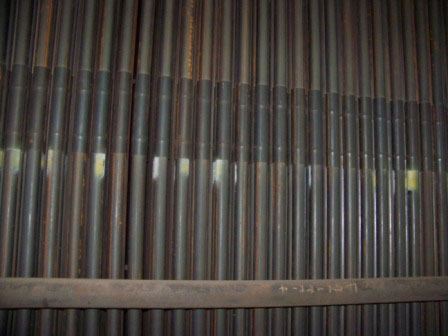 Significantly extends service life of replacement tubing. Our inspection and maintenance team can provide you with immediate help to assess and repair damage. The detailed assessments focus on providing information that will allow planning for proactively managing repair costs. Whether it’s performing a routine inspection or a complete rebuild, CMS provides you with a turn-key solution based on the timeline required by your outage duration. 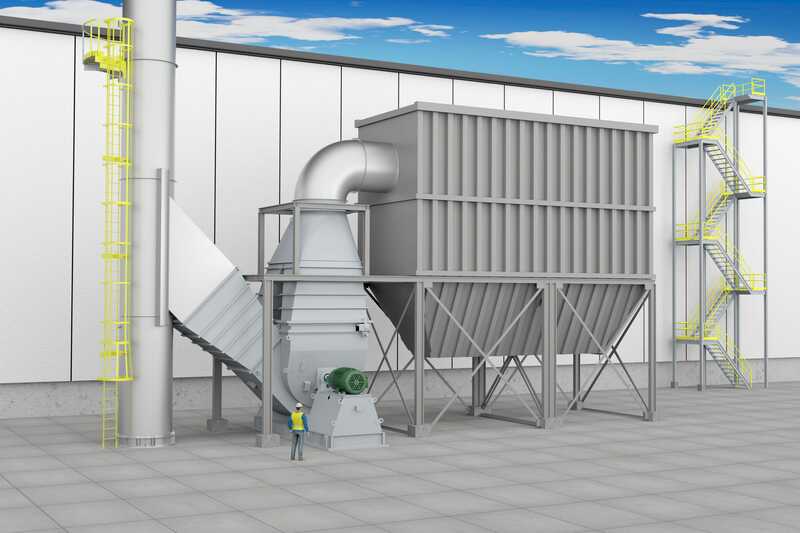 Our approach to analyzing mechanical dust collectors focuses on evaluating the system’s overall performance based on the fuel burned and gas flow requirements. We can evaluate the boiler-performance impacts ensuring that your dust collector is configured for optimal efficiency based on the fuel rate that you burn. Some of the issues that can have a significant effect on performance, emission and maintenance are listed below. Once we have gathered and analyzed critical information, we are available to put together a plan for your review and approval that helps minimize dust collector maintenance costs and downstream erosion to critical equipment. Our goal is to evaluate the right balance between operating profile and design velocity of the dust collector cones, while providing you with seamless project execution. At CMS, we are a one-stop-shop that can provide you with everything from material sourcing to labor for projects of any scale. Additional options include routine replacement of wear parts or complete retrofitting. Contact us today to schedule a free initial visual assessment or to learn more about our CMS Analysis and Rapid Repair Solutions.